I just learned a new latin word: saltus - a wooded pasture, forest, upland. Does anyone know how saltus differs from silva in usage? Last edited by will.dawe on Mon Apr 15, 2019 8:32 pm, edited 1 time in total. 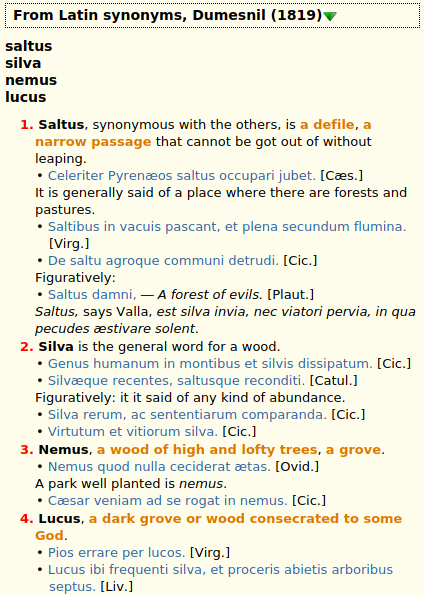 The synonymes of the Latin language, Hill (1804): sylva, nemus, saltus, lucus. P.S. Here are computer dictionaries of Latin synonyms.